In a large bowl, mix together the salt, pepper, Hatch Chile powder, onion powder, garlic powder, and thyme. Add the beef strips and toss to coat. Sprinkle the seasoning mixture over the meat. In a skillet over medium-high heat, heat 1 1/2 tablespoons of the oil until simmering. Add the beef, saute it to desired doneness, and remove it from the pan and set aside. Add the remaining 1 1/2 tablespoons of oil to the skillet, and saute the onions and Hatch Chiles until the onions are softened, about 5 minutes. Preheat the oven to broil. 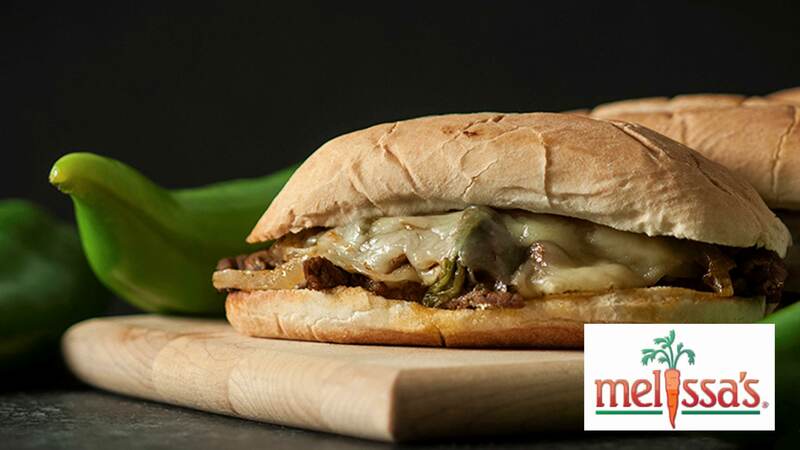 Divide the meat among the bottoms of the 4 rolls, layer on the onions and Hatch Chiles, then top with sliced cheese. Set on a baking sheet and broil to melt the cheese. Cover with tops of rolls and serve.